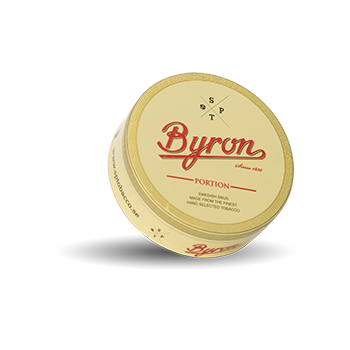 Byron Portionary a Swedish-made portion snus with air dried tobacco from Cuba. Note Held former Montecristo Portion. Same snus, just other names and other designs. The tobacco in Byron comes from hand picked and air dried tobacco directly from Cuba. 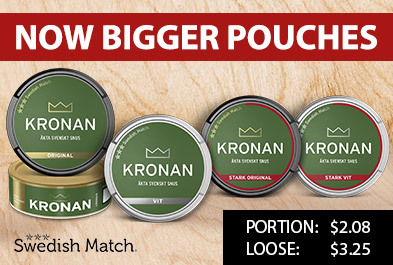 The snus offers a presentation of powerful, clean and dark elements and a rich tobacco aroma. In the taste we also find a hint of fresh citrus.Tobacco and manufacturing process invite a long tradition of Cuban cigar production. After the tobacco has been taken in Cuba, it is cleansed through Norwegian spring water, to end up being snuff here with us here in Sweden. 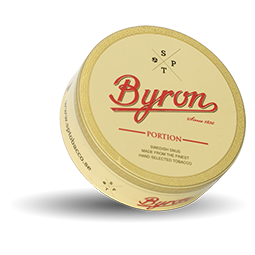 Byron is also available with anise and miniportion taste! They can also be found here. Earlier this name was called sniper Montecristo.